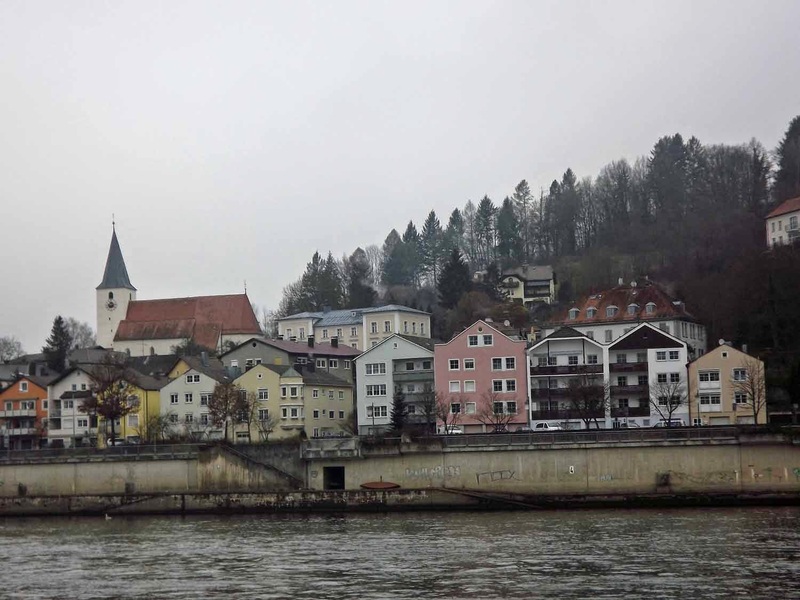 I’m not sure which my friend Tracy and I were more excited about, being on a Viking River Cruise along the Danube, or going to our first Christmas Market*, but it was clear from the start of our day in Passau, Germany, that it was going to be a magical one. We were up by 7:00 and had breakfast in the main dining room, enjoying the selection of fruit, cheese, pastries, omelets and yogurt. 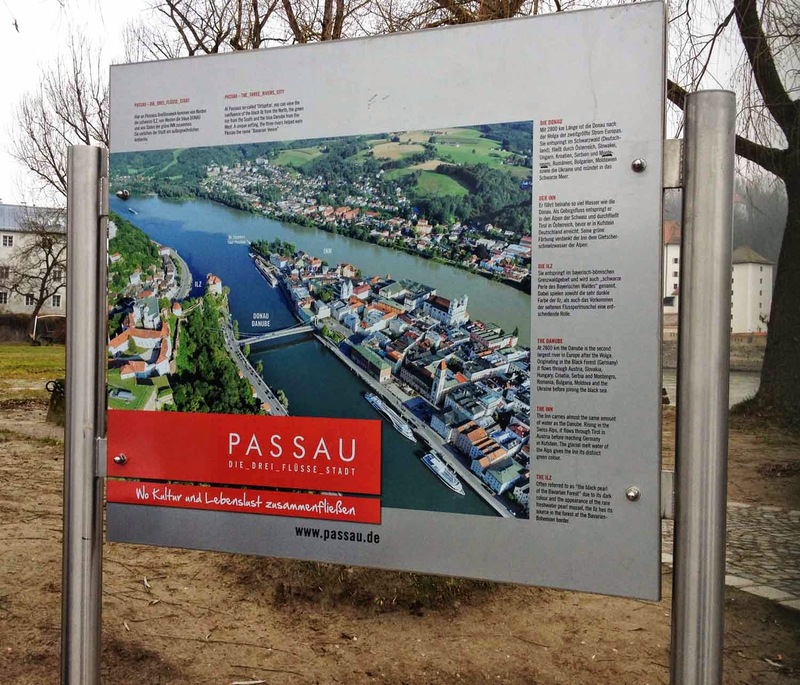 It was then time for our walking tour of Passau. The Viking Embla had been decorated for the holidays, but it didn’t begin to compare with what we would see in Passau. 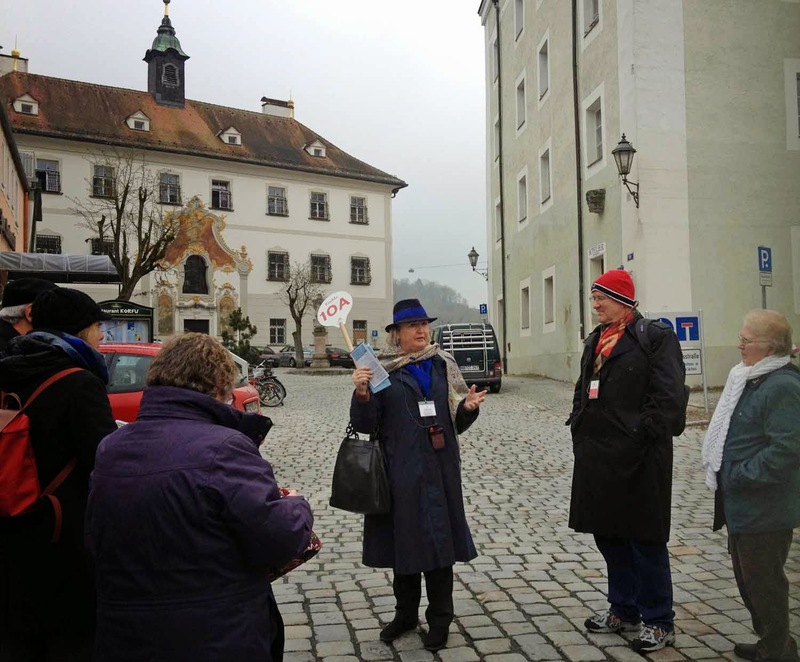 Tours are included on Viking River Cruises and while we had buses available to us at all ports, Passau was a place we could walk. We were divided into groups so that we could experience the sites and hear our guide along the river and through the cobblestone hills. She told us about the town’s flood the previous year and how this town fared during the war. 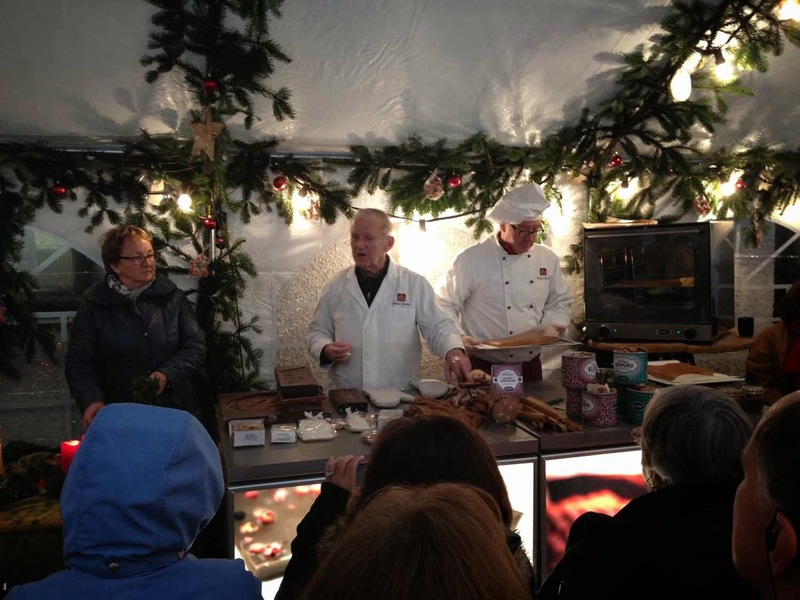 Then we were off to a gingerbread demonstration at Simon Confectionary. I really enjoyed watching this family make the gingerbread their family had been creating for generations. 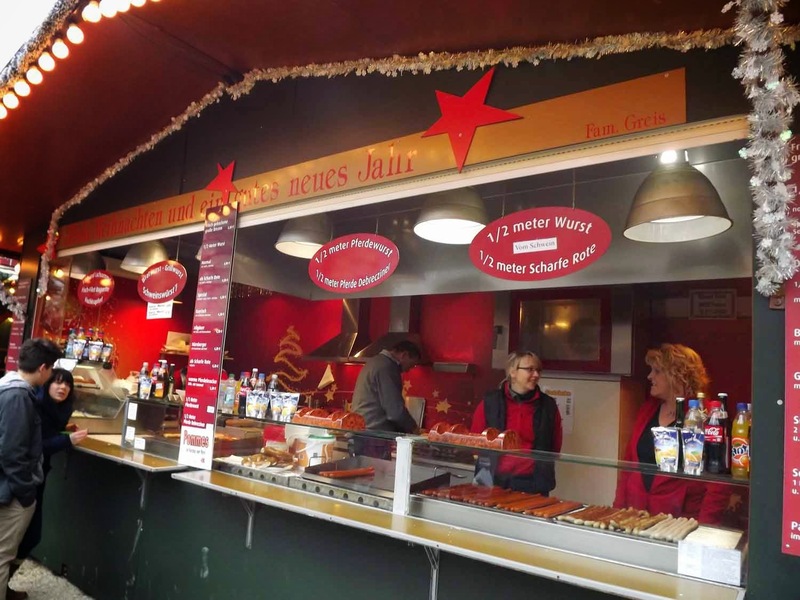 And, it was delicious – especially watched down with Glühwein. 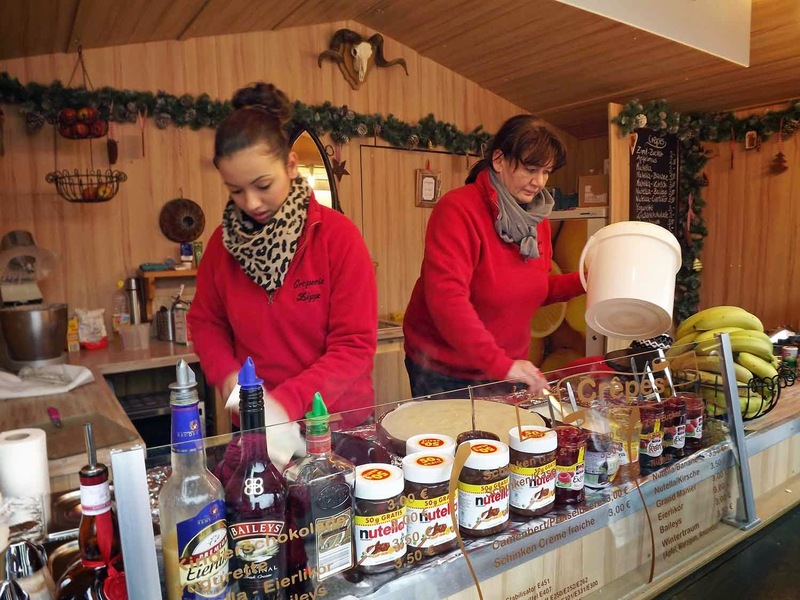 I finally had my introduction to Glühwein in Passau. I had actually only heard about it for the first time just before I left. It was, after all, my first trip to this part of Europe. I had been told it was a red wine, filled with spices such as cinnamon, clove, and nutmeg. I would soon learn that there were many different versions of this warm drink using all types of wines. 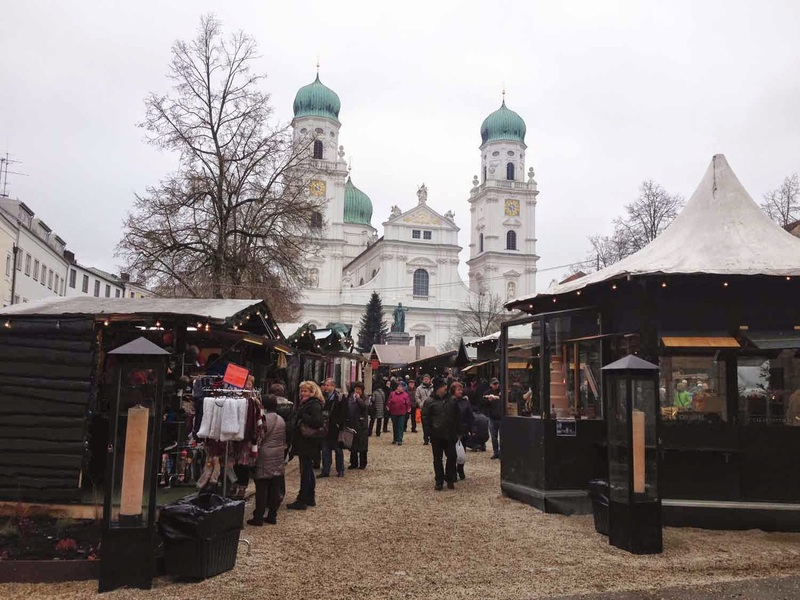 We stopped at St. Stephen’s Cathedral where the Christmas Market was held. The art inside the cathedral was stunning, but I was anxious to get to my first European market. 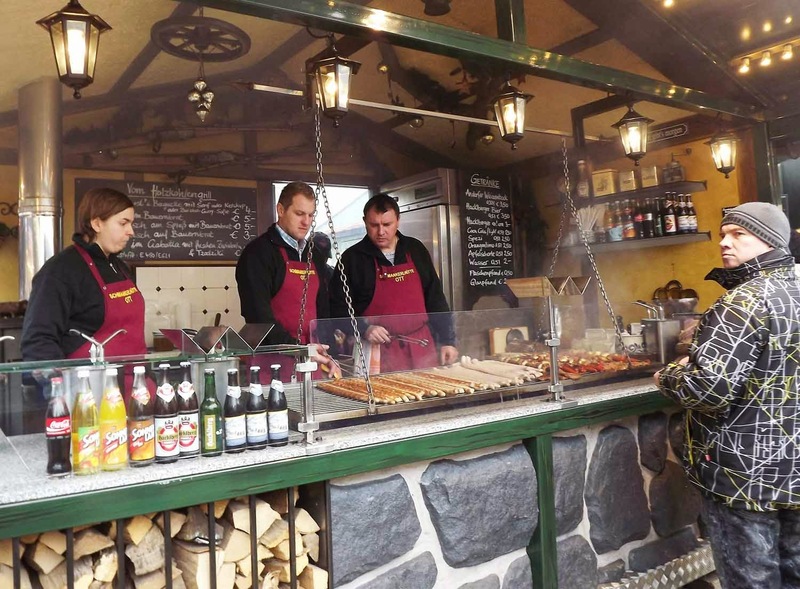 The market was filled with much more than I ever expected, from drinks to foods such as bratwurst and baked goods (donuts are especially popular in Germany), to candles and crafts. To me, everything was either a Christmas decoration or a potential gift, though a part of me wanted to take one of everything home. We went back on the ship for lunch before returning to the market. Though my Monte Cristo Sandwich wasn’t a traditional German meal, it was quite good. 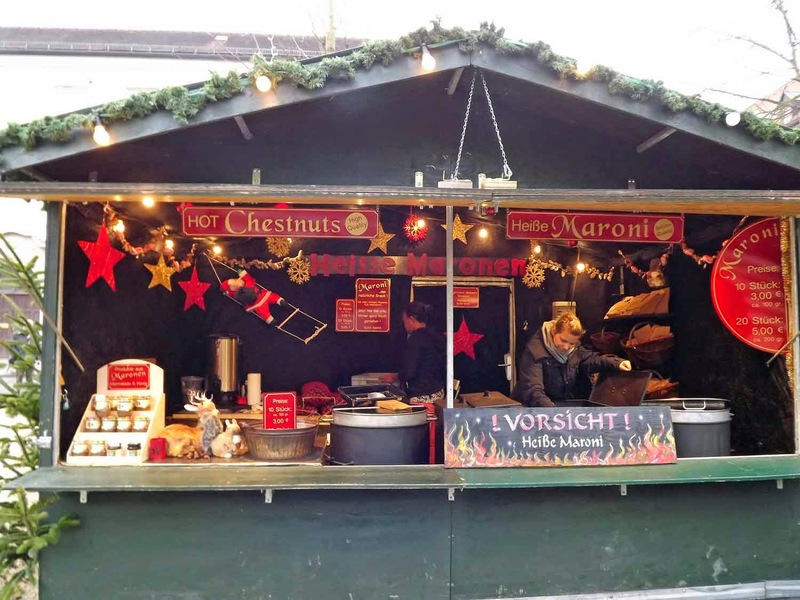 I knew I had many more markets to go, so I just left with the Glühwein and some chestnuts, something that reminded me of warming my hands on cold nights in New York. We had a ravioli appetizer which was quite good. Then Tracy enjoyed the scallops for dinner while I ate the beef, but we both sipped the Austrian wine. We finished dinner appropriately with a local favorite, Apple Strudel. I had been a bit worried that there wasn’t a lot going on after dinner on the ship at night, but it soon became apparent why – the days were long ones and we were all more than ready to retire by 10:00 pm. 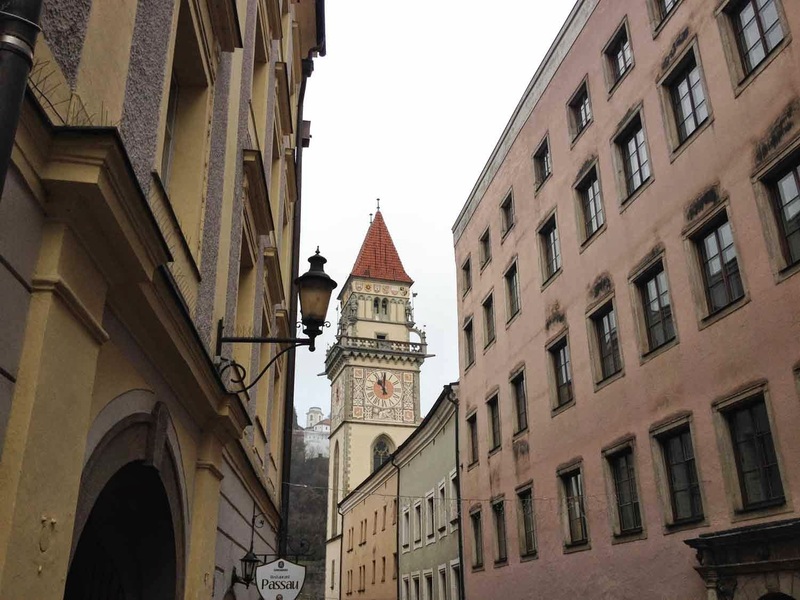 Another long day was ahead of us and this was a place I had been waiting to get to for a long time, Austria, my grandmother’s birthplace and home to all those breathtaking scenes in the Sound of Music.